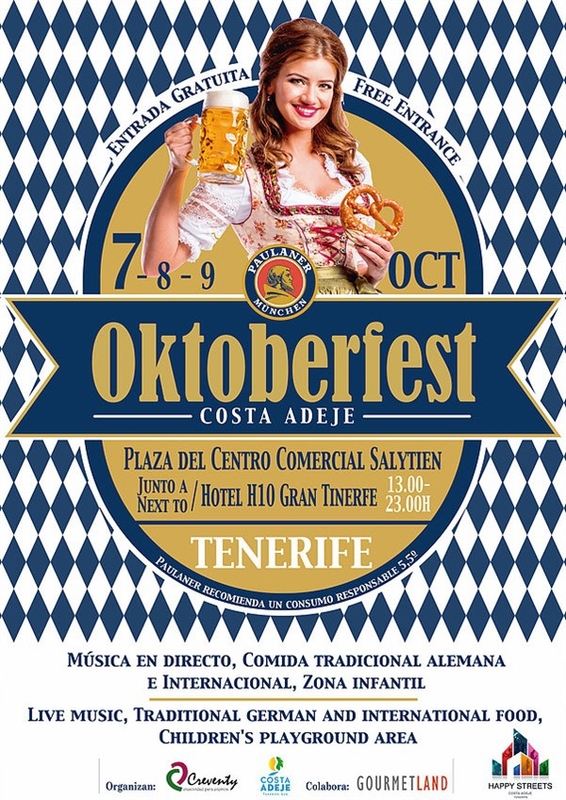 Munich eat your heart out at Adeje's very own seaside Oktoberfest where visitors will be transported into a worl of big beers, sausages and lederhosens. The beer festival takes place this weekend from Friday unil Sunday and is part of Adeje’s new Happy Streets initiative. There wll be traditional German food and drinks as well as live music and a playground area for the kids. Entry is free and the event will take place at the Salytien Shopping Centre.from 1pm - 11pm.